It’s been quite some time since the release of the Kaby Lake Refresh CPUs that surprised users with high performance but disappointed them with the fact that they don’t go under the name “Coffee Lake”. Now it’s time for the “real” 8th Gen high voltage processors. They are already here and the most popular two models quite expectedly will be i5-8300H and i7-8750H, which are actually successors to the widespread i5-7300HQ and i7-7700HQ. 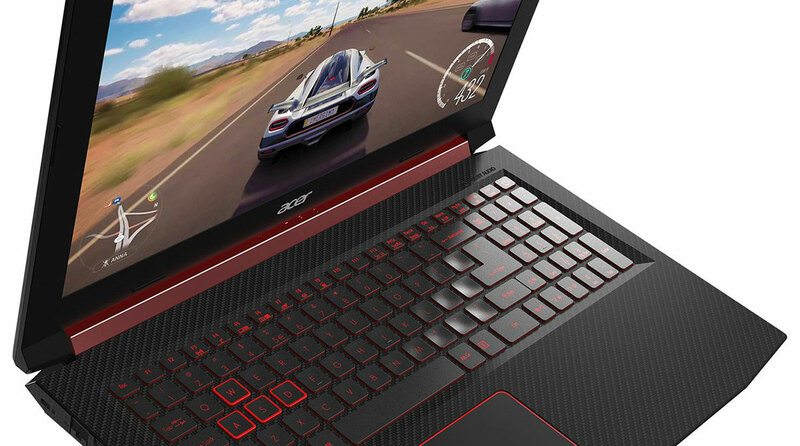 Acer Nitro 5 is one of the first lineups to incorporate the new Intel chips and of course, we can’t wait to check how the budget gaming machine handles them – what performance it delivers and whether the CoolBoost cooling is efficient enough to maintain their frequencies for a continuous period of time. Due to the fact that we have already reviewed the series, we are going to focus on the performance analyses and will answer the question of what “engine” is the most optimal choice for the new Nitro 5. As we have already mentioned, we have taken a thorough look at the appearance of Nitro 5, as well as the peculiarities of its construction and internals. You can find more information in our previous review. The screen that Nitro 5 incorporates has already been tested in another Acer model – Aspire V 15 Nitro Black Edition (VN7-593G). We are talking about BOE NV156FHM-N43 – a high-quality IPS panel with Full HD resolution (142 ppi), high brightness and contrast, and pretty serious gamut coverage – 94% sRGB. However, keep in mind that your device may be shipped with the LG LP156WF6-SPK6, which came with the AMD configuration we tested earlier. 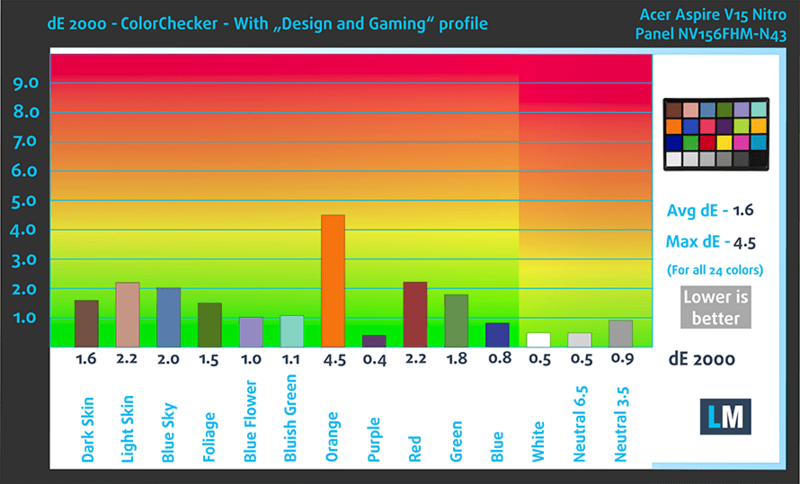 The color deviation in ColorChecker has an unacceptable value of DeltaE = 5.3 but our Gaming and Web design profile brings it down to dE = 1.6 – a level that will appeal to the amateur graphics designers. The display has one serious drawback and this is the presence of PWM across all brightness levels under 100%. That’s where our Health-Guard profile comes in handy as it eliminates PWM and also reduces the negative blue light emissions. Since our profiles are tailored for each individual display model, this article and its respective profile package is meant for Acer Nitro 5 (or Aspire V 15 Nitro) configurations with 15.6″ BOE NV156FHM-N43 (FHD, 1920 × 1080) IPS screen. Intel Core i7-8750H is a direct successor to the Core i7-7700HQ. The new Coffee Lake processors feature six physical cores instead of the just four found on the Kaby Lake CPUs. Moreover, the blue company was able to fit the extra two cores on the same 14nm architecture while maintaining a TDP of 45W. In terms of clock speeds, we have a slight drop in the base frequency from 2.8 GHz to 2.2 GHz but the Turbo one is 4.1 GHz (up from 3.8 GHz), whatsoever. This means around 50% better performance on theory and 9 MB of cache (vs 6 MB on Core i7-7700HQ). However, the new Core i7-8750H will be more cooling-dependent, due to the higher clock count and the wide range of Turbo speeds. On the iGPU end, there are no particular changes as the Core i7-8750H retains the HD Graphics 630 cores with 350 MHz Base frequency and 1100 MHz maximum Dynamic frequency. The only difference is the support of OpenGL 4.5. Here you can see an approximate comparison between the CPUs that can be found in the Acer Nitro 5 (AN515-53/52/51/41/31) models on the market. This way you can decide for yourself which Acer Nitro 5 (AN515-53/52/51/41/31) model is the best bang for your buck. The GeForce GTX 1050 GPU for laptops is part of the latest NVIDIA Pascal lineup of GPUs featuring a brand new architecture design but on contrary to the rest of the GPUs from NVIDIA’s lineup, the GTX 1050 and 1050 Ti feature a Samsung-made FinFET 14nm chip instead of the TSMC 16nm found in the GTX 1060, 1070 and 1080. The graphics card is based on the GP107 chip paired with 4GB of GDDR5 memory via a 128-bit interface. Here you can see an approximate comparison between the GPUs that can be found in the Acer Nitro 5 (AN515-53/52/51/41/31) models on the market. This way you can decide for yourself which Acer Nitro 5 (AN515-53/52/51/41/31) model is the best bang for your buck. With GeForce GTX 1050 you can easily play GTA and Rise of the Tomb Raider at Medium/High settings or Far Cry Primal and Ghost Recon Wildlands at Normal graphics settings. 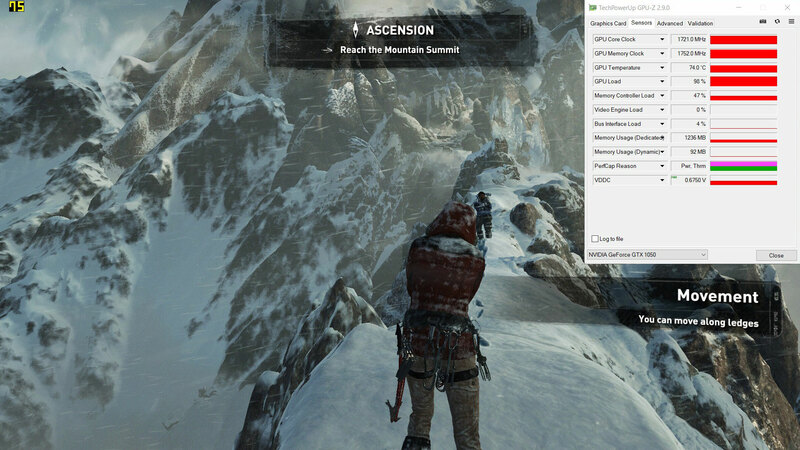 We have a new method that evaluates the cooling system and for gaming computers, it includes two tests – 100% CPU load and real gameplay load (Rise of the Tomb Raider). In this test, we reach 100% CPU cores load, while monitoring the fluctuations in their frequencies and chip temperature. The first column is indicative of the laptop’s response under a short load (between 2 and 10 seconds), the second column simulates a serious task (between 15 and 30 seconds), while the third column is a good indicator of whether the laptop is suitable for extended and heavy loads such as video rendering. Average core frequency (Base freq. + X); CPU Temp. The cooling system appears to be powerful enough to ensure around 50% higher than the base frequency of i5-8300H (2.3 GHz) for the first minutes of the test, which may lead to a fairly good performance in almost any task. This doesn’t include processes such as video rendering – between the 10th and the 15th minute the average frequency is 2.75GHz (20% above the base), but at a slightly lower temperature of the chip – 75 degrees. In the battle of the i7-8750H machines, Nitro 5 and GL503 are winners with approximately equal results, the latter having a certain lead in terms of temperatures, and also maintaining slightly higher frequencies in medium-long processes (0:15 – 0:30 sec). The real gameplay test is longer. Here, the GPU is loaded to the maximum trying to process maximum frame rates per second. Quite expectedly, although the processor is not as needed as in the previous test, its temperature is higher (82° C) because it shares the two fans with the graphics card. The fans aren’t exactly silent so keep this in mind if you love silence during gaming. Of course, if you play with a headset or a cranked sound, you will hardly pay attention to it. During extended gaming, although quite noisy, Nitro 5 with 8300H/8750H and 1050 manages to maintain good temperatures of its components at over 1.7 GHz GPU frequency. In addition, the stability of the frames and frequencies makes a good impression. However, we wouldn’t recommend opting for a Nitro 5 configuration with GTX 1050 Ti, which would be too much for the cooling system. On the other hand, the configuration with Ryzen 7 and RX 560X doesn’t encounter any difficulties with the cooling of the CPU and GPU. Actually, for most of the time, the fans weren’t even running at full power. Core i5-8300H and GTX 1050 pose a serious challenge to Nitro 5 when it comes to external temperatures. The hottest point reached almost 60°C. 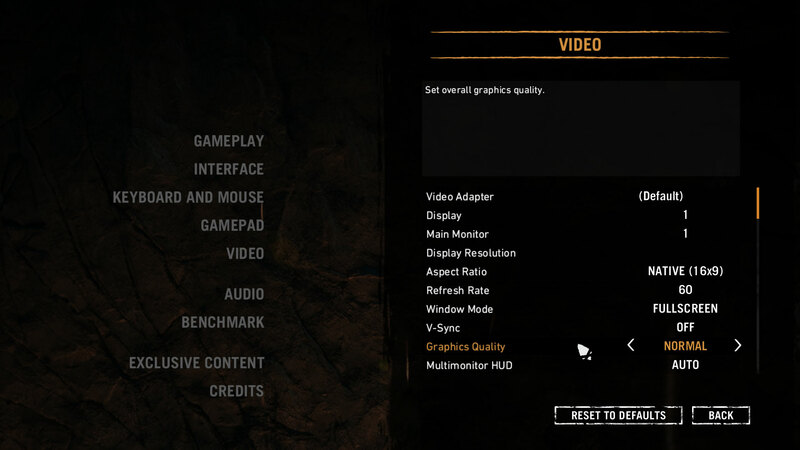 Yet another confirmation that the GTX 1050 Ti won’t be a good choice. Acer Nitro 5 continues to be one of the most attractive solutions in the budget gaming segment. If you are a gamer, the difference between the i5-8300H configuration and the i7-8750H one will be hardly noticeable, which would have also included Ryzen 7 2700U, if it hadn’t come only with the significantly less powerful RX 560X GPU. Interestingly, the Intel option came with a better screen (BOE NV156FHM-N43) and its only drawback is the presence of PWM. However, our Health Guard profile takes care of this issue. 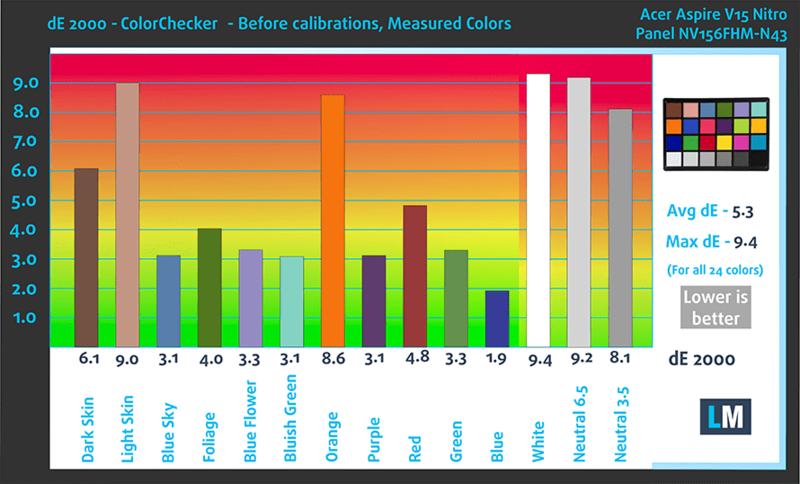 In the other tests, the BOE did a great job – 94% sRGB coverage, 1.6 dE color deviation (with our Gaming and Web design profile), high brightness and contrast. Everything else we have told you about this model from the previous review is also valid here – easy upgrades, nice design, good battery life.